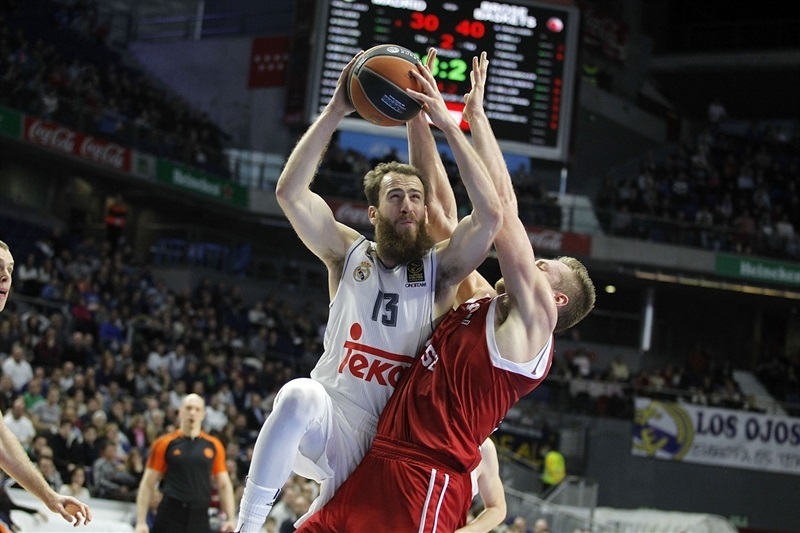 In a major battle that went down to the wire, Real Madrid recorded its first win in Top 16 Group F by edging Brose Baskets Bamberg 80-77 in the Spanish capital on Wednesday. 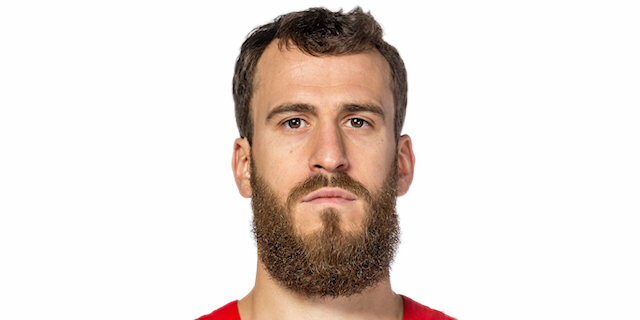 Sergio Rodriguez scored all of his 22 points in the second half and added 8 assists to lead the winners. 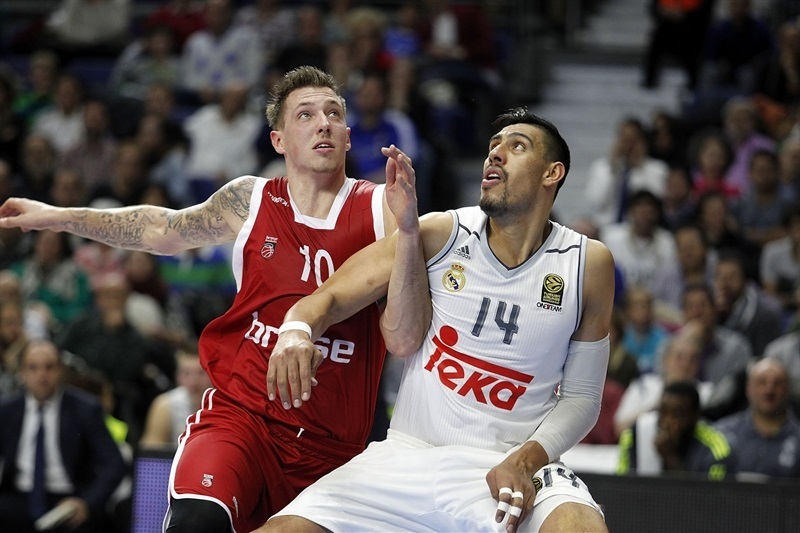 Jaycee Carroll added 13 points, Felipe Reyes had 11 while Gustavo Ayon got 10 and 8 rebounds for Madrid. Janis Strelnieks led Bamberg with 16 points. Bradley Wanamaker added 14, Nikos Zisis had 13 while Leon Radosevic got 12 for the guests. An 0-8 run that Zisis capped with free throws gave Bamberg an early 4-13 lead, enough for the guests to keep a 13-19 edge after 10 minutes. A mid-range jumper by Strelnieks soon made it a double-digit game, 15-25, and Radosevic boosted Bamberg's lead to 24-38. Carroll and Ayon kept Madrid within 30-40 at halftime. Rodriguez took over after the break, singlehandedly bringing Madrid back to life. Even so, a dunk by Darius Miller gave Bamberg a 57-60 edge after 30 minutes. Rodriguez gave Madrid a 69-62 lead but Daniel Theis and Strelnieks helped Bamberg tie the game, 77-77, already in the final minute. Rodriguez buried the go-ahead triple with 20.7 seconds left before Andres Nocioni added free throws to seal the win. Leon Radosevic got Bamberg going with free throws, which Trey Thompkins matched with a turnaround jumper. 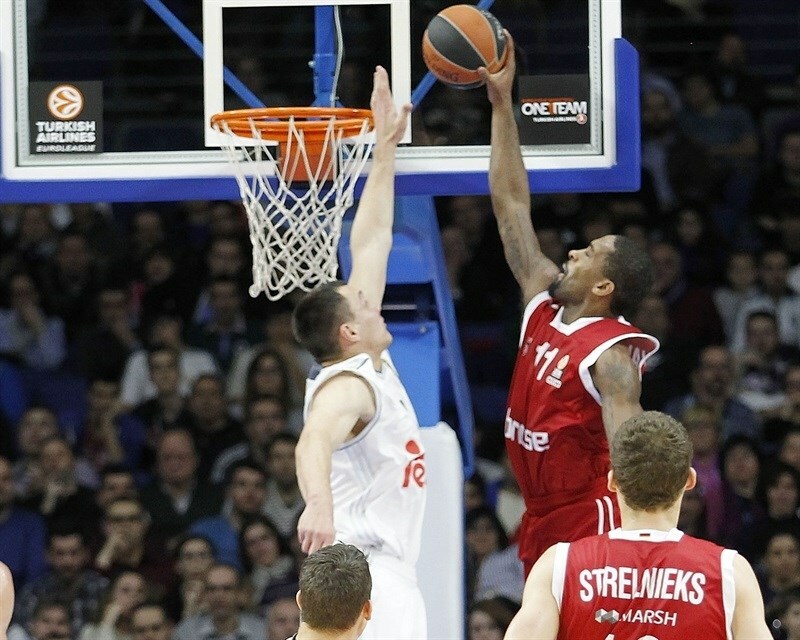 Bradley Wanamaker struck from downtown and an alley-oop dunk by Gustavo Ayon kept Madrid within 4-5. 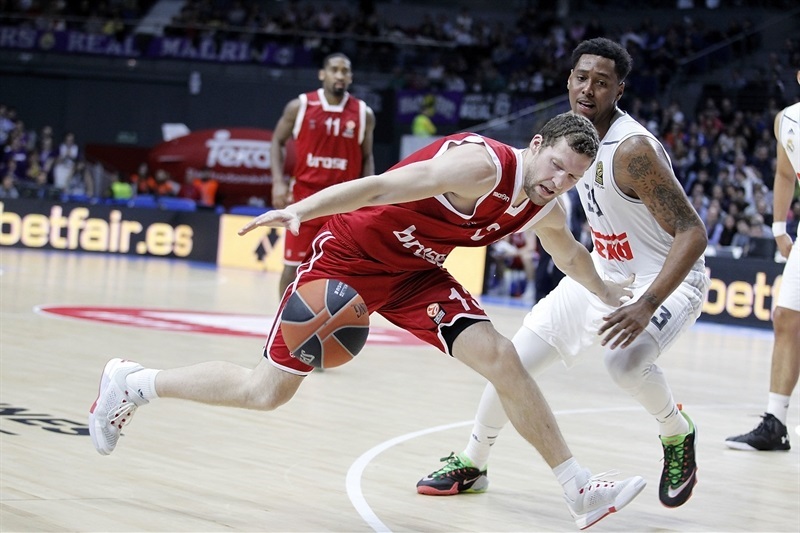 Madrid did not find its offensive rhythm and missed a lot of open shots, while a layup by Radosevic gave Bamberg a 3-point edge. 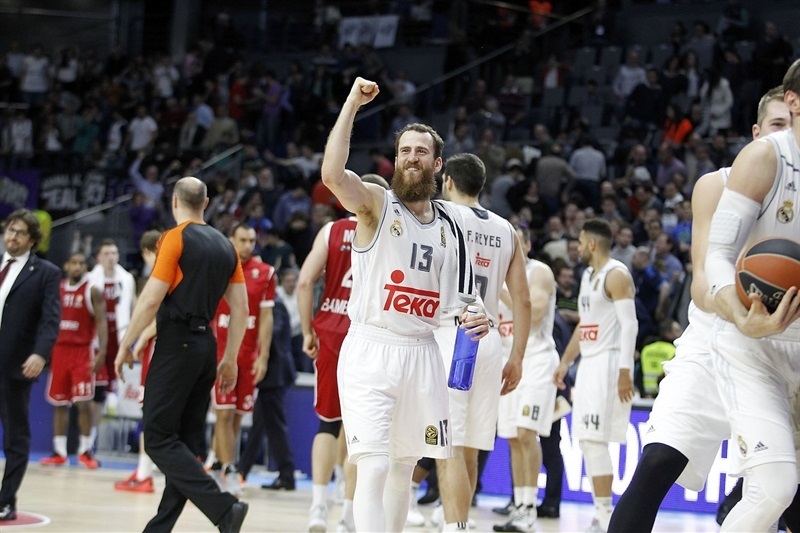 Madrid faced early trouble, as Sergio Rodriguez headed to the bench with 2 fouls. Meanwhile, back-to-back layups by Elias Harris and Zisis forced Los Blancos to call a much-needed timeout at 4-11. Zisis kept pushing Bamberg with free throws to cap an 0-8 run. Carroll tried to change things with a bomb from downtown and Felipe Reyes added free throws to bring Madrid within 9-13. After Radosevic buried a baseline jumper, Reyes hit more foul shots. A dunk by Wanamaker set an 11-17 Bamberg margin. Reyes nailed a jumper from the elbow, but a driving layup by Wanamaker gave Bamberg a 13-19 lead after 10 minutes. Carroll nailed a jumper early in the quarter, which Janis Strelnieks erased with an off-balance basket. Wanamaker buried a one-handed jumper in the lane and Strelnieks hit a mid-range shot to make it a double-digit game, 15-25. K.C. Rivers sank his trademark step-back jumper, but Patrick Heckmann did even better with a bomb from downtown and added a fast break layup that boosted Bamberg's lead to 17-30. Reyes drew a couple of fouls and hit 3 of 4 free throws, but Yassin Idbihi answered with an uncontested layup and Zisis gave the guests a 20-34 margin. 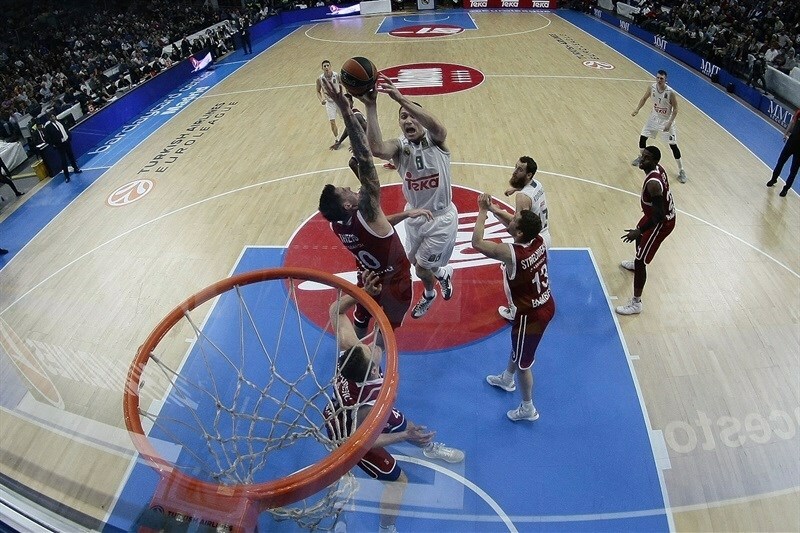 Carroll nailed a one-handed jumper and Rivers added a second-chance baskets, but Nicolo Melli found Radosevic for a layup and Strelnieks made foul shots for a 24-38 advantage. Carroll kept pacing Madrid with a jumper and free throws. Melli nailed a jumper and free throws by Ayon brought Madrid a bit closer, 30-40, as both teams headed back to the locker rooms. Madrid tried twin point guards right after the break - with Luka Doncic and Rodriguez together on court. Zisis needed just 10 seconds to hit a close jumper, but Rodriguez answered from downtown for a 33-42 score. Darius Miller buried a stop-and-pop jumper, but a red-hot Rodriguez scored in penetration and added a three-pointer to get the crowd involved at 38-44. Zisis took over with a three-point play. Jeffery Taylor dunked off an inbound pass and free throws by Rodriguez got Madrid within 42-47. Heckmann rescued Bamberg with a corner triple and Taylor and Strelnieks also struck from downtown. 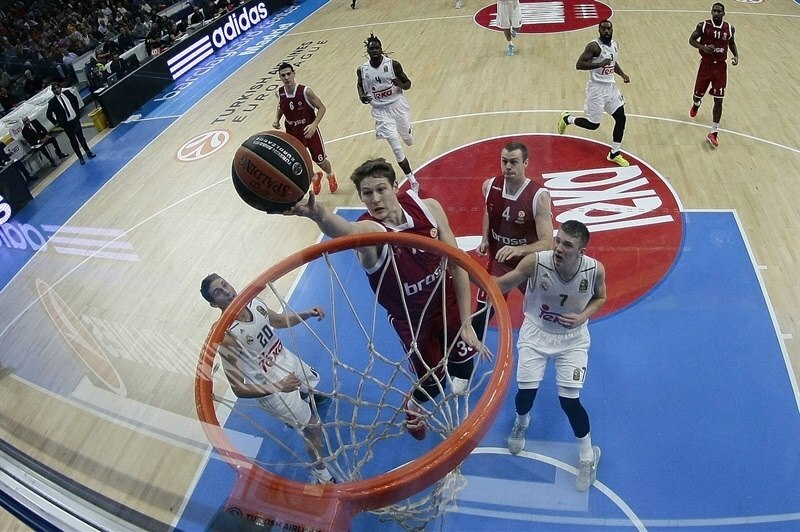 A close basket by Ayon kept Madrid as close as 47-53. 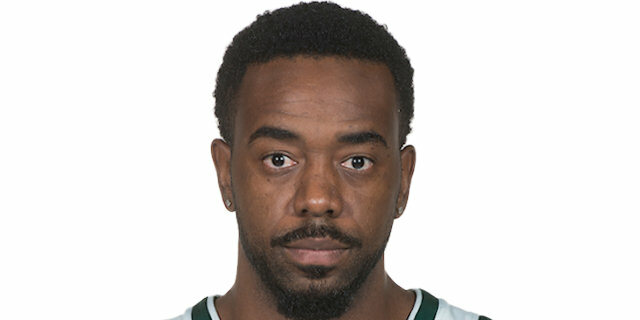 Daniel Theis dunked and a layup by Doncic prompted Bamberg to call timeout at 49-55. Rodriguez scored off a midcourt steal and an up-and-under layup by Ayon made it a 2-point game. Wanamaker nailed a three-pointer, but Rodriguez made free throws and fed Ayon for a layup for a 57-58 score. A dunk by Miller fixed the score at 57-60 after 30 minutes. 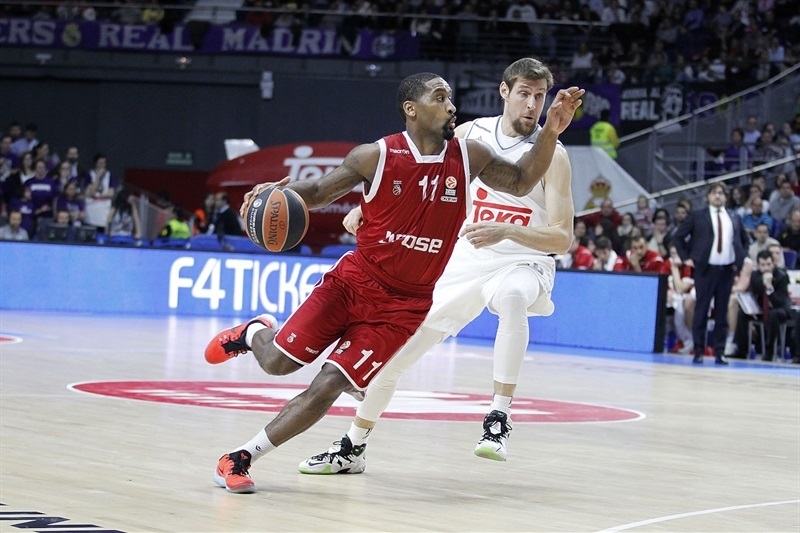 Reyes shined with a put-back basket early in the quarter, as Madrid held Bamberg scoreless for more than two minutes. 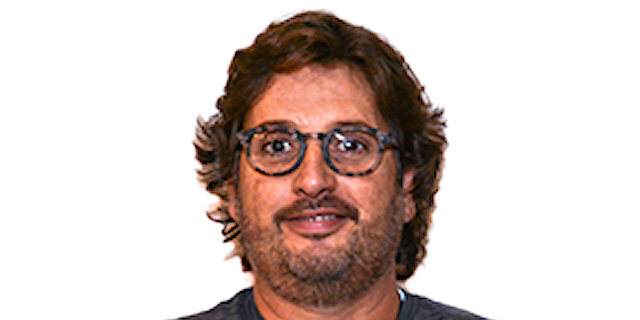 Meanwhile, a fast break layup by Andres Nocioni gave Madrid its first lead of the game, 61-60. Zisis hit a five-meter jumper, but Nocioni banked in a close shot and a layup by Jonas Maciulis made it a 3-point game. Carroll hit a running jumper and a driving layup by Rodriguez sent the crowd to its feet at 69-62. Bamberg could not find the way to the basket until Theis stepped up with a huge dunk in traffic. Free throws by Radosevic kept Bamberg within 69-66 with three minutes left. Rodriguez split foul shots, but Theis hit a mid-range jumper and Strelnieks tied it at 70-70 with 2:36 to go. Maciulis hit foul shots and a three-pointer by Nocioni caused Bamberg to call timeout at 75-70. Strelnieks answered from downtown and added a layup that tied it at 75-75. Rodriguez took over with a driving layup and bettered Radosevic's free throws with a bomb from downtown for an 80-77 Madrid lead with 20.7 seconds left. Wanamaker and Nocioni traded free throws for an 82-79 score. Wanamaker had a chance to tie the game at the buzzer, but his off-balance shot was way off the mark. "I think our defense was better in the second half. We contained their penetrations better. They hit key shots still, but offensively we were able to hit a couple shots, too. Because in the first half we couldn't hit any shots. But then in the second half, we played better and came back in the game. I want to congratulate my team for the victory. We had to work very hard to get this win. I am very happy with the work my team put out there. It was a tough game - they are the German League leaders and there are not easy opponents in the Top 16. They have proved that are a very well-organized team, very tough, that doesn't allow you to play at your own rhythm. It was hard for us to find baskets. We had very poor percentages in the first half. We solved it in the second half and had chances to break the game, being six or seven points up, but Bamberg stayed in the game and were right there in the final minutes. Resting players in the second quarter has been critical to have them fresh in the final minutes, and that energy probably allowed us to rally from 10 points down." "We lost with a huge three-point shot by Sergio against a 2.10-meter player on him, so I have to say 'Bravo, Sergio'. A loss is always a loss and a win is always a win, but my team played with the right spirit and personality. We made some mistakes and were punished by Nocioni, who will always make that shot from the corner, and by Sergio. I believe that we came here like the cinderella of the group. We only have three players with some Top 16 experience -all the others are rookies - but I believe we played good basketball, as a serious team. We were short one possession, one defensive play, one offensive play, I don't know - I want to review the game. The most important thing is that my players in the locker room were very pissed off instead of being happy, playing like this against the defending champion. I am proud of my players and it is the best way for me to go back tomorrow to coach them." "No games are easy in the Top 16 and this is a very tough group. It is going to take more of a stronger defense and mental toughness for us to advance. It is not going to be easy but will work on that - improve our defense, get stops and keep teams from running." "Our mentality changed in the second half We came out with a lot of energy after halftime. We came out ready to play the tough game that we had today. So we are very proud of our toughness, which we showed in the second half. I tried to go out with a lot more energy. We were stuck early in the game. They are a tough team and it was hard for us to score in the first quarter. I picked up two fouls in the first quarter and that slowed me down in the second quarter. I am happy for the way we fought back. We were without two very important players in Sergio Llull and Rudy Fernandez, but we keep fighting and winning, which is what we have to do. These are two very important players who will be missed for sure. It is what it is: we have a lot of games during a season and a tough Top 16 group, but we have to fight and win in any way we can." "We played a great first half. We knew that Madrid was not in its best moment and was without some of its best players. Even with our great first half, we were aware that they would bounce back, which is what happened. Sergio Rodriguez played an outstanding second half and sealed the outcome down the stretch. We have to learn a lot from our second half, as we have to play against very strong teams in this Top 16 group."